Dental implant surgery is an ideal solution for people who have one or more missing tooth. Teeth implants replace both the tooth and the root. The final crowns on an implant will be versatile, strong and natural-looking. Dental implants are metal posts that are surgically positioned into the jawbone beneath your gums. Once it is placed, they allow your dentist to mount replacement teeth onto them. Because implants are built into your jawbone, they provide stable support for artificial teeth. Dental implants are made of various biomaterials. Most commonly titanium is used which is a surgical metal because it is the most compatible with human biology. Many people who have lost teeth in their upper jaw — particularly the back teeth, or molars — do not have enough bone for implants to be placed. Because of the anatomy of the skull, there is more bone at the back of the upper jaw than at the lower jaw. A sinus lift, or it is also called a sinus augmentation, is a surgery that adds bone to your upper jaw in the area of your molars and premolars to make it taller. The bone is added between your jaw and the maxillary sinuses. These are on either side of your nose. To make room for the bone grafting material, the sinus membrane has to be moved upward. That is why it is called sinus lift procedure. The bone used in a sinus lift may come from your own body or from a cadaver. But synthetic materials, which can stimulate bone formation, also are sometimes used. If your own bone will be used in the sinus lift, it will be taken from other areas of your mouth. In a typical situation, a patient has lost a single tooth and wants to have it replaced with a crown supported by a dental implant. However, the tooth has been missing for several years and there is not enough bone to support the implant. In this case, bone taken from the patient's chin can be used to "rebuild" the lost bone so that it can support an implant. This bone replacement procedure would be done at the dentital surgery. Why to choose Implant Surgery? People can lose their teeth for a wide variety of reasons, including infection, gum disease, accident or injury. 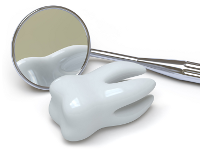 When natural teeth are removed, many problems occur. The remaining teeth can shift, rotate and can become crooked and improper bite will develop. It makes very difficult to chew food properly. Gaps between teeth may cause embarrassment, problems with speech, and lack of self-esteem. The result of the implant surgery is better health (creates a comfortable bite, reduces chances of gum disease) and enhanced aesthetics. Implants generally last 10-20 years, depending on the location of the implant and patient compliance with oral hygiene and dental check ups' however, with excellent oral hygiene, they can last a lifetime. A dental implant surgery can be a costly procedure. The basic treatment costs £495 - £785. However, it is worth considering such a treatment due to its long lasting result.